Constructed by the German Democratic Republic (East Germany or GDR), the Berlin Wall was a barrier that cut off West Berlin from East Germany and East Berlin. After World War II, East Berlin, became the capital of East Germany (formally the German Democratic Republic). The Berlin Wall divided the city from 1961 to 1989, and its demolition lasted from 1990-1992. Traces of the Berlin Wall, which was actually two walls at certain points, can still be seen today. 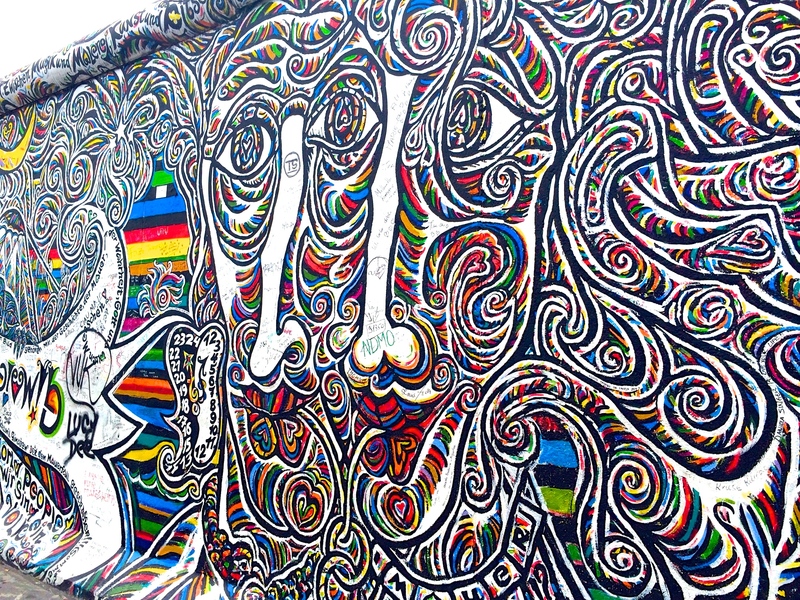 The East Side Gallery is an expansive outdoor art gallery, where the art is painted directly on remaining portions of the Berlin Wall. 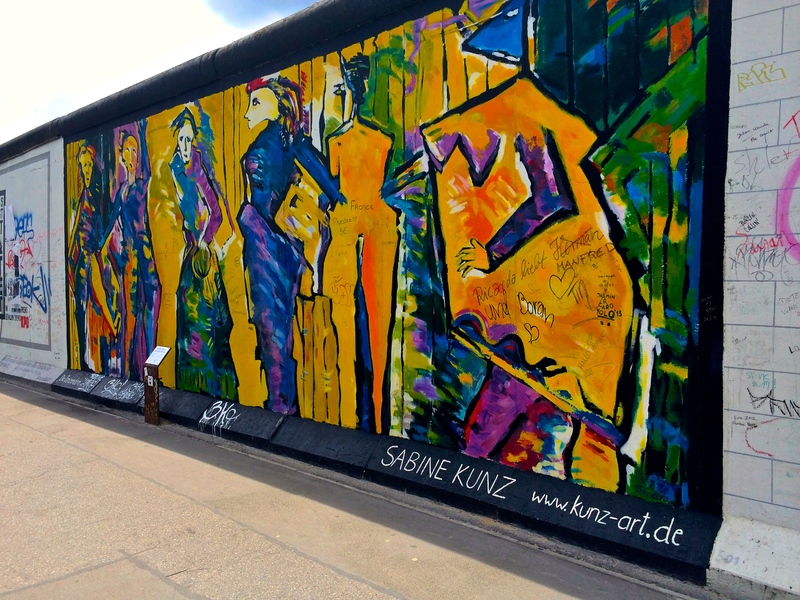 This part of the wall has famous images from several artists including, Dmitri Vrubel, Jürgen Grosse, and Kim Prisu. 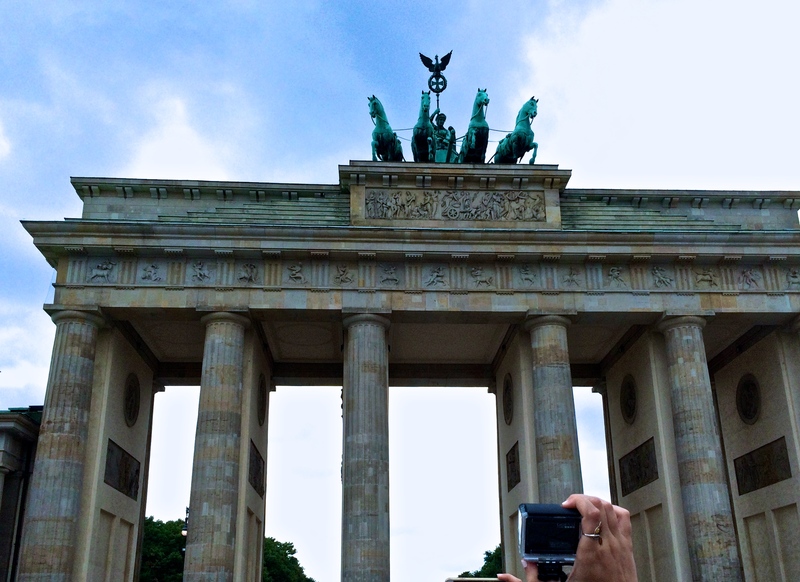 Aside from the Berlin Wall, there is a great deal to be discovered here. 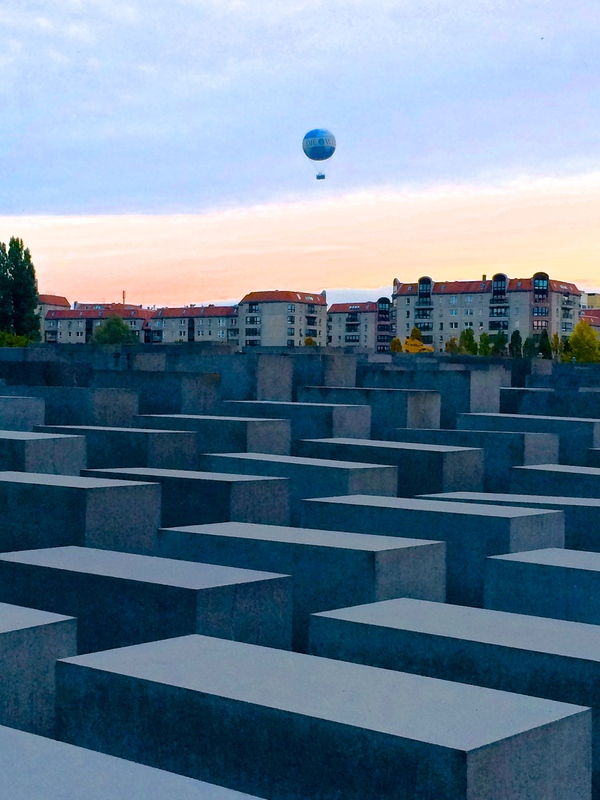 Many other historical sites, such as the Memorial to the Murdered Jews of Europe and the Jewish Museum, have been erected to honor the lives of those lost during WWII. Located in northern Germany, on the banks of the rivers Spree and Havel, Berlin is a city with fascinating history, countless museums, various cultural events, and a large variety of restaurants. Due to its size (3.5 million people over 12 boroughs) and central location, Berlin is a hub for foreign immigration. Because of this, the city offers cuisines, venues, and cultural events for a broad range of nationalities. Berlin has two main airports: Tegel International Airport (TXL) and Schönenfeld Airport (SXF). Tegel International Aiport (TXL) is located in the northwest area of the city and is the central airport for international carriers such as British Airways and United Airlines. When traveling to Berlin from the United States, you are most likely to arrive in Tegel International Airport. Cheap flights to Berlin can be found by flying into Schönenfeld Airport, located in the southeast area of Berlin. Schönenfeld is the base for budget airline carriers like easyJet, RyanAir, and Germanwings. When flying with budget carriers, be sure to read their baggage weight and size regulations at time of booking. Direct flights to Berlin from NYC can be found on United, Lufthansa, and AirBerlin. What to wear depends on the season. If you choose to visit during the summer, pack clothes that will keep you cool due to the lack of air conditioning in many buildings and restaurants. Fall and spring require a light jacket. Winter is cold and windy, so pack layers and bring an umbrella. If you visit the clubs or bars in Berlin, you will notice that locals usually dress in darker colors during the day. Berlin is best visited in the fall or spring. The city is more crowded during the summer, as that’s when the weather is warmest and students are on break. Summer months have temperatures in the mid 60s (17-18 Celsius) and January averages temperatures in the 30s (0-1 Celsius). When visiting Berlin, one should not miss the Brandenburg Gate (referred to as Brandenburger Tor in Germany) erected between 1778 and 1791. The famous monument is located in the western part of the city center of Berlin, within the district of Mitte. The gate can be found at the junction of the streets Unter den Linden and Eberstraße. This icon of Berlin is only a block north of the Reichstag, which houses the German parliament and is centrally located to many of the other historic buildings within Berlin’s city center. It is also a gathering area for stage shows, major sporting event broadcasting and fireworks during holidays like New Years. 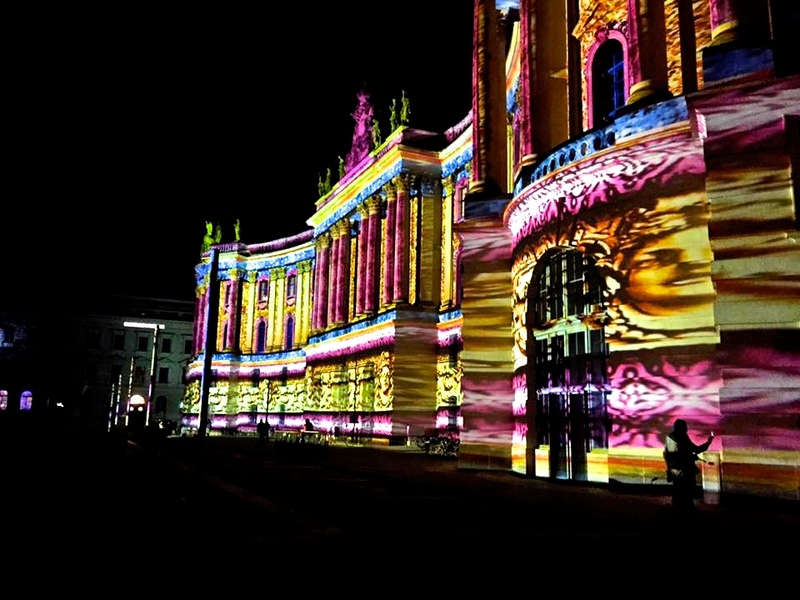 If you find yourself in Berlin during October, make sure to check out the Festival of Lights. This 10-day event transforms many famous landmarks and monuments in Berlin into artwork through light projections and video art. The festival was first held in 2004, and continues annually each October. Check out the Berlin, Germany website (www.berlin.de/en/) before you visit in October to see when the specific dates will be. 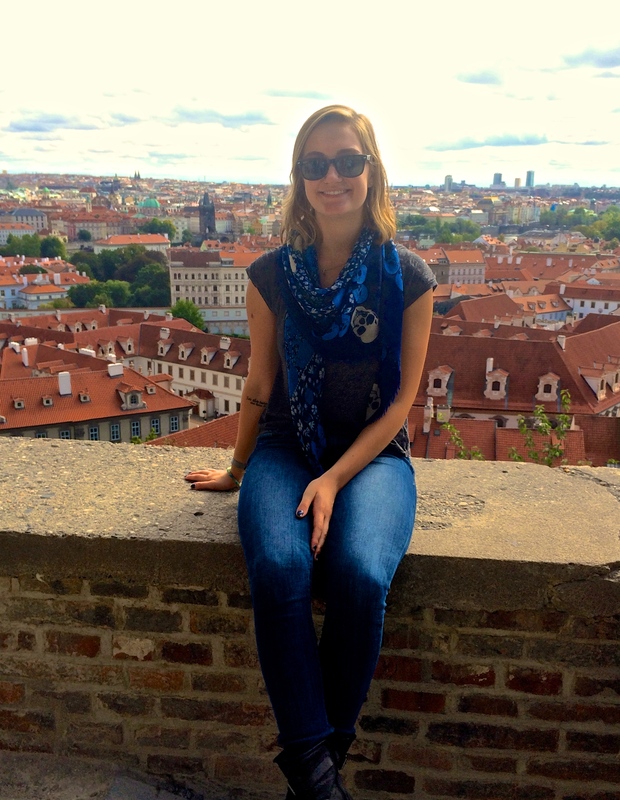 Thanks to our travel expert, Isabella, for sharing her travel tips on Berlin!